A mechanism for preferential inheritance of a particular DNA sequence. Usually, offspring have a semi-random chance of inheriting a given stretch of DNA from either parent. In a scientist-designed gene drive, a gene is engineered to have a 100% chance of being passed on. 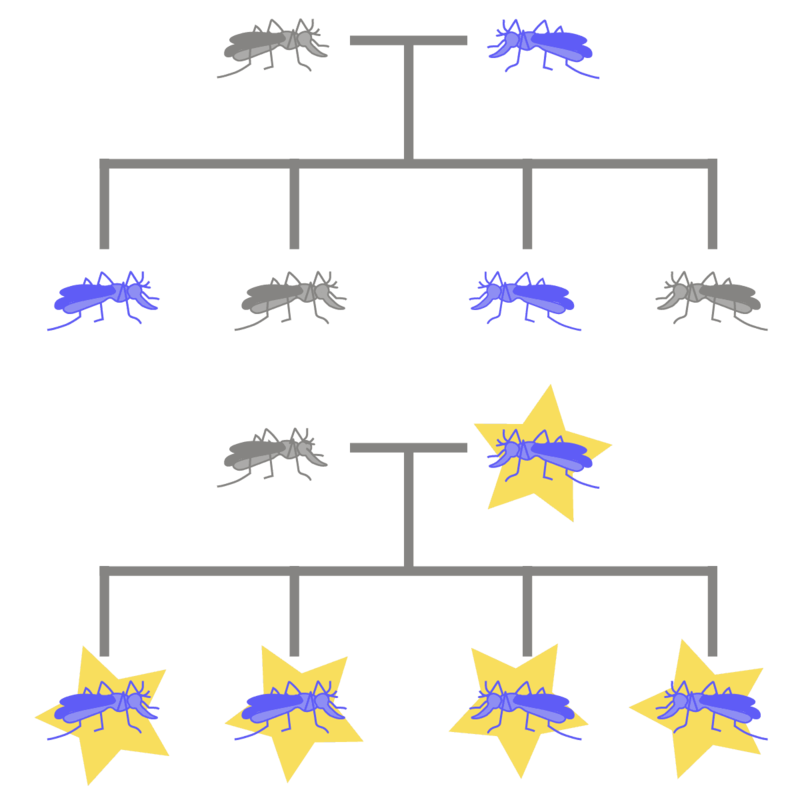 Gene drives can force the inheritance of a desirable trait through a population of organisms. For example, this approach could potentially make all mosquitoes incapable of transmitting the malaria parasite.